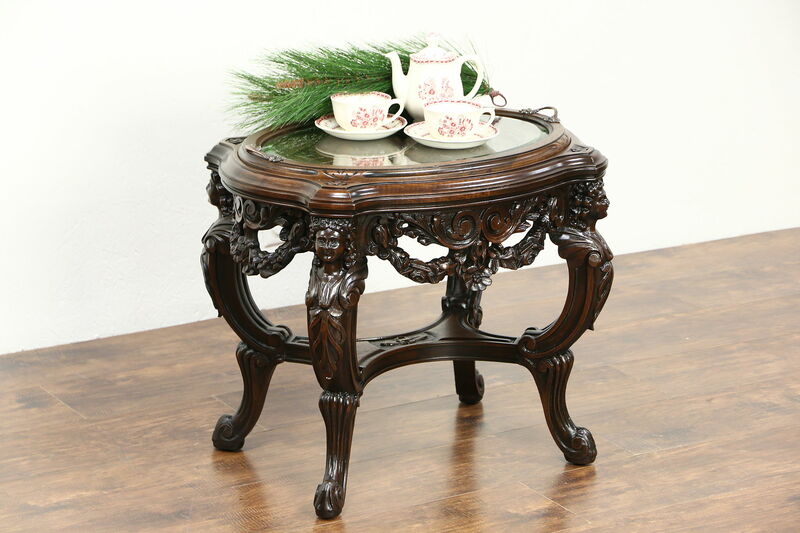 A small oval coffee, cocktail or chairside table was carved of solid walnut during the 1920's with female figures in the corners. Below is a three dimensional Rathskeller tavern scene. The lift off tray has original brass handles and beveled glass with a few scratches. Deeply carved, the sturdy trestle base is beautiful on this American made antique furniture. Size is 24" long, 19" wide and 21" tall.